On this tour, you'll experience the very best Barbados has to offer. You'll explore Orchid World and the spectacular east coast. Visit the Wildlife Reserve for a glimpse of the mischievous Barbados green tail monkeys. Then it's off to the western coast, which with its white-sand beaches and calm turquoise water, has spectacular colorful reefs and perfect snorkel locations. Your tour begins with a trip to the awesome Harrison's Cave before you make your way up the island's green hills and down to the spectacular east coast. After enjoying the breathtaking sights and stops, you'll enjoy a quick lunch (included). 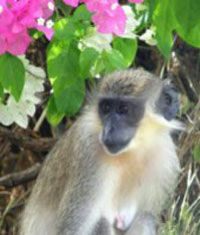 Then, it's on to the Wildlife Reserve for a glimpse of those mischievous Barbados green tail monkeys. Your day continues with a sail down the west coast, where you'll have the opportunity to snorkel with the local green sea turtles. Some of the island's prettiest beaches and calmest waters are along this coastline. The western coast of Barbados has reef dives with soft corals, gorgonians and colorful sponges, as well as about a dozen accessible shipwrecks. You will also get a glimpse of the Morgan Lewis windmill on this tour. Departure Point: Tour commences with pick-up from your hotel. Pick-up for cruise ship passengers is from Diamonds International Roundabout in front of Port entrance and exit gates. For a more in depth exploration of Barbados, whether it's your first time on the island or not, book the Explore and Discover Barbados Tour! This extensive tour will take you around the island's coast and includes a glass bottom boat cruise and the opportunity to swim and snorkel with sea turtles - what more could you want? Explore and Discover Barbados is a specifically created tour that will help first time visitors to Barbados to discover the beauty and charm of Barbados. It is also the perfect tour for returning visitors to renew fond memories and make a few new ones. Your route starts along the south coast beginning with the Barbados capital of Bridgetown. From there, you'll travel up the coast pass Accra Beach, Oistins, Foul Bay, Bathsheba and the east coast. You'll then stop for lunch before heading off to Cherry Tree Hill and North Point. 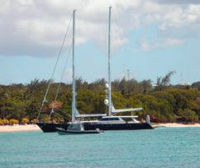 From the north, you'll head back down the west coast to Holetown where you'll board a 2-hour glass bottom boat cruise. 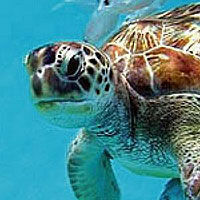 Swim with the friendly sea turtles, sail down the west coast and snorkel off of one of the colorful reefs. This is an absolute must in Barbados, with many photo opportunities not to be missed. You will also get a glimpse the Morgan Lewis windmill on this tour. Departure Point: Tour commences with pickup from your hotel. Pickup for cruise ship passengers is from Diamonds International Roundabout in front of Port entrance and exit gates. Come and experience the natural wonders of Barbados. Discover breathtaking landscapes and scenic views and see the natural flora and fauna of the island. Imagine, an island of unspoiled charm and sophistication. Alive with possibilities, as boundless as the turquoise sea and as endless as the sandy shore. Experience the island's natural wonders while driving through its lush green hills. Visit the magnificent Harrison's Cave full of underground streams and waterfalls, stalactites and stalagmites. Then, it's off to Barbados' very own world of orchids, rich in the colors and tropical blooms. A visit to Barbados will not be complete without a stop at the scenic east coast, famous for its breathtaking beauty and sensational surf. You'll then stop for a fantastic lunch full of local flavor. The last stop on this unforgettable tour will be at the Barbados Wildlife Reserve to catch a glimpse of the green monkey at play, as well as a wide variety of other animals. Please note: Harrison's Cave is temporarily closed until January 15, 2010. The stop will be replaced by Flower Forest. Enjoy a touch of splendor while visiting Barbados' colorful Orchid World and Wildlife Reserve. This tour allows you to discover the truly breathtaking landscapes and scenic views of the island's east coast. Wake up to the rhythm of the tropics and paradise to explore - the world will never look the same again. You will visit Harrison's Cave before heading over the hills and through the valleys to the unforgettable east coast, allowing for a fantastic view of the Atlantic Ocean. Your last stop is the Barbados Wildlife Reserve where you'll find those mischievous Barbados monkeys at play. Just BIM is a tour dedicated to showing you the 'must-see' attractions of Barbados! With over seven stops, such as Bathsheba and Andromeda Gardens, you are sure to get a taste of the real Barbados on this tour. Your Just BIM tour begins at the Mount Gay Visitor's Center where you'll be given a guided tour. As part of this tour, you'll also learn about the history and making of rum in Barbados. Your next stop will be at Harrison's Cave where you'll tour the caverns bellow by tram. You'll then enjoy a scenic drive through the beautiful Bathsheba and Cattle wash with a stop for lunch. The last stop will be St. Nicholas Abbey which is possibly the last remaining authentic house of the 17th Century that exists anywhere in the "New World". While most of the structures in North America were built out of timber, this residence was made of brick and limestone. The residence was built only 30 years after Barbados' settlement by the British in 1627 and is of significant historical value to the island. The plantation also has a small but very beautiful gardens with the largest and most colorful hibiscus on the island. Come experience the adventure of a lifetime on board the Atlantis Submarine. Your adventure begins at the Shallow Draught where you will have time to browse for souvenirs or enjoy a cool drink and snack at Cafe Sublime. Your quest begins when you board the shuttle vessel "Ocean Quest" as you sit back and enjoy the seven-minute scenic cruise to the Atlantis Submarine as the Atlantis crew gives an informative talk. Once arriving at the dive site, you are treated to the sight of the Submarine surfacing. Then you will make the easy transfer from the Ocean Quest to the Atlantis. On board the vessel you are seated in spacious, air-conditioned comfort as your incredible underwater experience begins. First the submarine will dive to 55 feet (17 meters) to view the beautiful coral reef and the abundance of marine life, including spectacular coral, sponge, and colorful fish through large, clear viewing windows. The 40-minute underwater journey is narrated by a knowledgeable co-pilot who will point out and explain the amazing sea life as well as give a history of Atlantis and the submarine itself. Before returning to the surface, the submarine descends to depths of 115 to 150 feet (35 - 45 meters) to view what has in the past been reserved for scuba divers only - a sunken shipwreck. After resurfacing, you are transferred back onboard the Ocean Quest for the return to Shallow Draught. All adult tickets include a complimentary drink. The Atlantis submarine is the first attraction in the Caribbean to receive the double award from Green Certification in alliance with the Green Globe International. Part of the Lesser Antilles, Barbados lies just east of the Caribbean. Discover the wealth of Bajan heritage and natural wonders that make this island such a unique gem in the Caribbean. Tour charming chattel houses, stroll pristine beaches, visit majestic plantation homes and tour hidden caves for a prehistoric peek into the past. Barbados uses the Barbados Dollar and is on a one-to-one ratio with the U.S. Dollar. This makes a holiday in Barbados a great value compared with countries on the Euro. Although the island lies in the tropics, the trade wind cools it down considerably. It has no real mountains so anywhere you stay in Barbados will normally be comfortable.